Discovery Litigation Services offers the most experienced court reporters in Colorado, no matter where your deposition takes place. Our video-enabled streaming court reporters make it possible for you to get an on-demand stenographer pulled from a network of highly skilled legal professionals. Discovery Litigation Services uses technology to offer you the absolute best Colorado court reporter for your needs. Founded on the back of 20+ years of industry experience, Discovery is able to operate with an expertise that transcends most; a standard and level of commitment unrivaled by our industry peers. 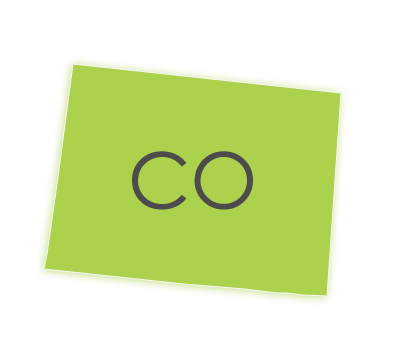 Your choice of Colorado court reporter does not have to be limited by geography. Utilizing advanced streaming technology, we will beam to you the perfect stenographer for the job. Our service doesn’t end at court reporting nor with our arsenal of litigation services. We can help you reach a resolution through a variety of means. Trials can be expensive, deplete resources, and damage professional partnerships. Going to trial is not the only way to remedy your disputes. Discovery Litigation Services can save you on time, money, and business relationships by employing additional resources for dispute resolution. Mediations and Arbitrations. Discovery will help you confront the high costs of trial with Alternative Dispute Resolutions. The discovery process can consume your bottom line, especially in the event of a long, drawn-out litigation. We want to help you spend less time reaching a resolution via a speedy, confidential proceeding that won’t become public record. Discovery Litigation Solutions presents supremely qualified neutrals educated in the area of law in required of your case. With our Alternative Dispute Resolution services, avoid leaving an important decision up to a potentially ill-informed jury or judge. A dispute does not have to end a relationship. Arbitrations and Mediations are a less combative means of finding a common ground. They have the benefit of saving the working relationship of the two parties in dispute via cooperative negotiations. Let Discovery Litigation Services alleviate the burden through non-combative means. Discovery Litigation Services’ mediators and arbiters will help you reach a quick, peaceful resolution. Our mediators will save you money by reaching a swift decision. Controlling the costs of litigation is a high priority. A straightforward way to control those costs is by avoiding a lengthy litigation. Look to our experienced neutrals to use their expertise and knowledge to find a resolution to your dispute. Our experts are experienced in the complexities of Mediations, Arbitrations, and Settlement Conferences. We are standing by to provide a resolution to your case. Discovery Litigation Services is the solution that provides you more at a higher level within budget while simultaneously saving you time. Let Discovery cover your deposition from start to finish. Let our experienced legal professionals guide you through pre-trial strategy. Let us bring an alternative dispute resolution to your case without breaking the bank. Utilize our systems and services to operate from a place of strength. Incorporate our tested technologies to ease your burden. Schedule a deposition now, and get out of the office before sundown. Discovery Litigation Services offers solutions for Court Reporting in Every Part Across Denver. - Videography - Dispute Resolution - Mediation - Arbitration - Interpretation - And More. Schedule Your Deposition in Any State Throughout The U.S.